Save Christmas: Things You Definitely Shouldn’t Gift a Designer! Never look a gift horse in the mouth? Say that to a designer. His sense of aesthetics is almost militant. Thus, be careful this Christmas. The Leopard Can’t Change Its Spots. It’s a logical thing. People that deal with the question how something will look and work the best every day will stay in that rating mode after work. I can freely admit that this is definitely the case for me, much to the dismay of my loved ones. In the restaurant: My god. Who designed this menu? Walking through the city at night: Oh no, an illuminated ad from hell. While watching TV: This spot is horrible. Which agency screwed that one up? During breakfast: Unbelievable how many spelling errors still made it to the local newspaper. To me, that’s completely normal. After all, I find myself tortured by an immense amount of bad design every day. Of course, I can understand that it makes it hard for friends and family when it comes to finding gifts for me. The fact that the team of the Creative Bloq has created a brief infographic on the topic, giving valuable advice, is a blessing. 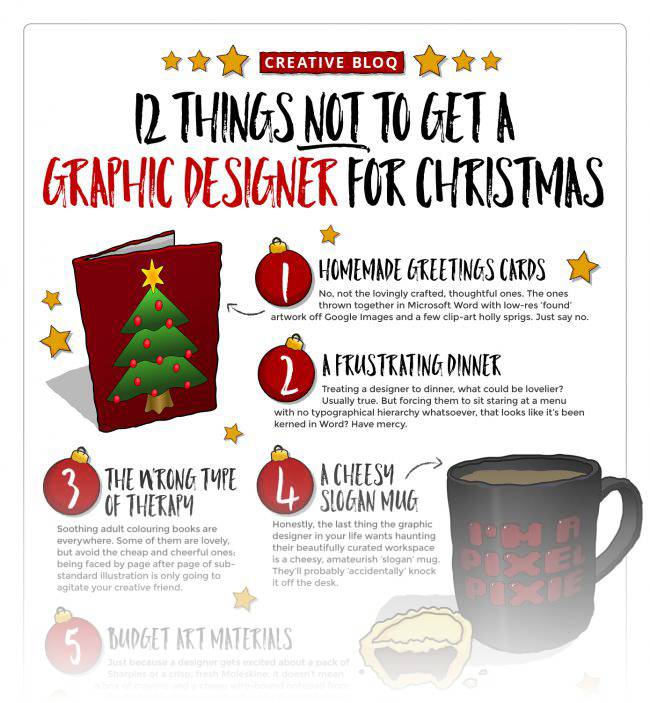 They have compiled the “12 Things NOT to Get a Graphic Designer for Christmas“. The team’s tips can be summarized by saying that you shouldn’t get a designer trash. 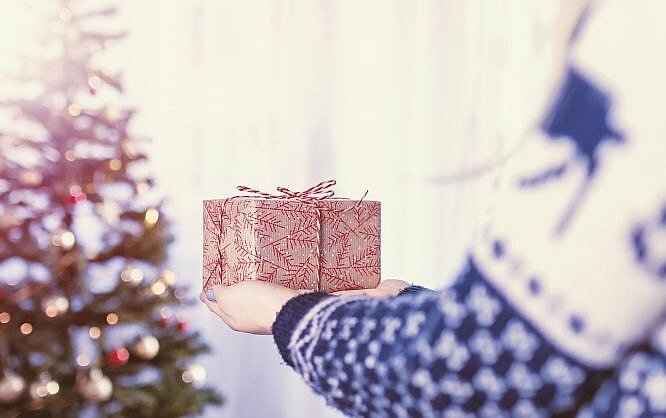 This sounds snobby, but it’s still an excellent piece of advice, because what’s the point of your not-so-cheap gift ending up in the bin after Christmas? This embarrassment is easily avoided by not making your taste the bar for your actions. (Unless you’re a graphic designer). A designer does not enjoy funny cat pictures on a cheap china cup. He doesn’t like horrible t-shirts with cliparts and slogans from a poetry album of the sixties either. And not all pencils are the same, just like a notebook is not the same thing as a Moleskine. Christmas is a fun festivals like Diwali for Hindus. We also celebrate it with full enthusiasm. You are here: Home / Save Christmas: Things You Definitely Shouldn’t Gift a Designer!